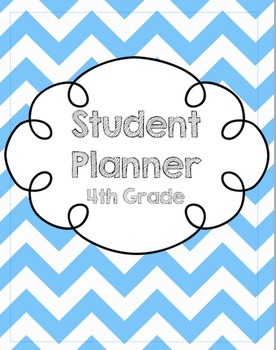 This 4th grade student planner is meant to help with parent-teacher-student communication. 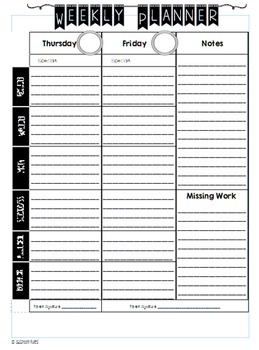 Students can use this planner to write down homework, activities, school events, missing assignments. Our students absolutely love them, and it truly is huge help to be able to quickly write a behavior note or a missing assignment when you know the parent will see it! Parents look out for them nightly as they get used to seeing information about their child's day. 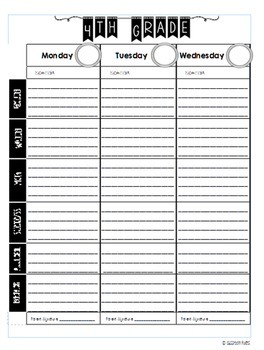 Please see the preview to see exactly what you get for the planner. We hope you love it as much as we do!